The old, as reflected in the new. This entry was posted on September 5, 2014 by Noeleen. 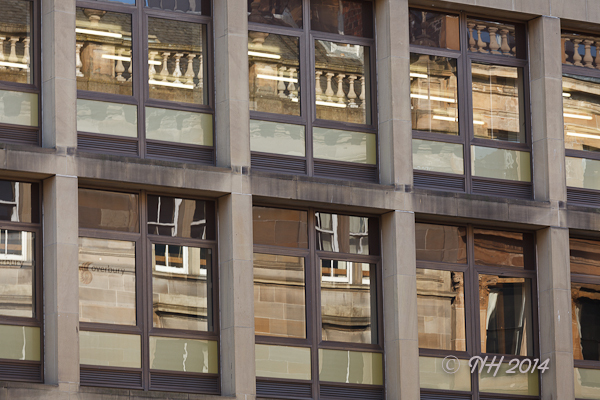 It was filed under Architecture, Cityscape, Photography, Scotland, Travel and was tagged with cityscape, Glasgow, Photography, reflection, Scotland, urban landscape.